Healthcare information exchange (HIE) has been refined from point-to-point messaging to wide-area networks, integrating multiple service providers and transforming the practice and structure of healthcare delivery. The scale and complexity of these information and communication technology (ICT) systems have induced technical, administrative and security challenges that require the roles, relationships and processes in healthcare to be revised in order for the expected change and productivity to be delivered. 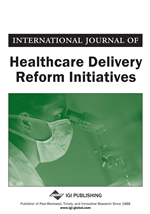 This article introduces how a federated regional information system was successfully deployed in a Finnish Hospital District and evaluates regional HIE between public healthcare providers. Understanding these principles and critical success factors, that is, the role of stakeholders, governance and financing, is essential for guidance to implement viable cross-organizational information exchange. In this context, ICT not only fulfills the objective of cost containment, but also creates positive impacts on patient care and service quality. The roadmap to a national eHealth network is paved on the premises of these experiences and lessons learned are conceptualized to plans when migrating to a national eHealth network. It is widely acknowledged that one of the greatest challenges facing healthcare information technology today is the effective sharing of clinical and administrative information among healthcare providers. Manufacturing firms benefit in particular from ICT-induced efficiency in internal information exchange whereas service industries benefit from improvements in external communication. Intensive interdisciplinarity is required in hospitals to provide surgery or to organize discharge, but cross disciplinary collaboration is left optional for after-care between secondary and primary care although 80% of healthcare expenditure is consumed by chronic disorders. Cross professional communication needs to be complemented by data sharing, forums for informal interaction and coordination by individuals who can engage with multiple communities (Morton & Cornwell, 2009).